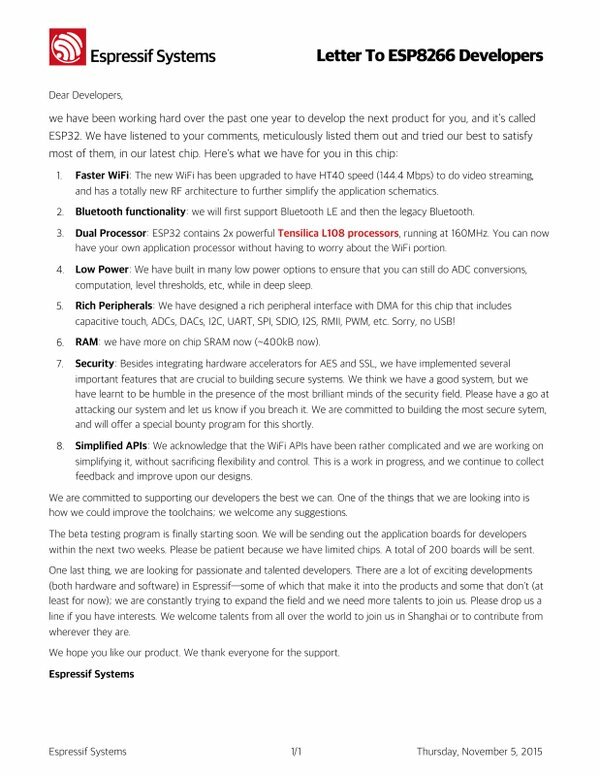 Support – Espressif is a small company as far as we knew – would they be able to support both chips in the long term? Compatibility with esp8266? 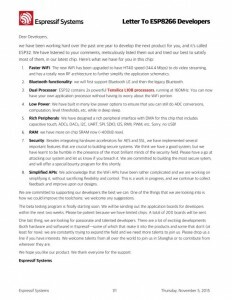 – The new ESP32 will use the RTOS based SDK and most APIs are said to be compatible with the esp8266 SDK. Price – The price will be higher than esp8266 but not much higher. Beta testing program is coming soon. Next Next post: Happy First Birthday!